The First Decade Committee celebrated its twelfth annual Summer Kick-Off Happy Hour with a sell-out crowd on June 25, 2015 at Battery Gardens. The event provided a casual atmosphere for newer and seasoned practitioners to hold conversations with judges from the Second Circuit Court of Appeals and the Eastern and Southern Districts of New York. This year, the First Decade Committee joined with the Public Service Committee to honor the recipients and nominees of the 2015 Thurgood Marshall Award for Exceptional Pro Bono Service. The Federal Bar Council presented this year’s award to recipients Matthew Benjamin of Gibson, Dunn & Crutcher and posthumously to Steven Kolleeny of Skadden, Arps, Slate, Meagher & Flom. Collectively, the award recipients and nominees have advocated on behalf of asylum seekers, championed civil rights, and defended individuals in capital punishment cases. 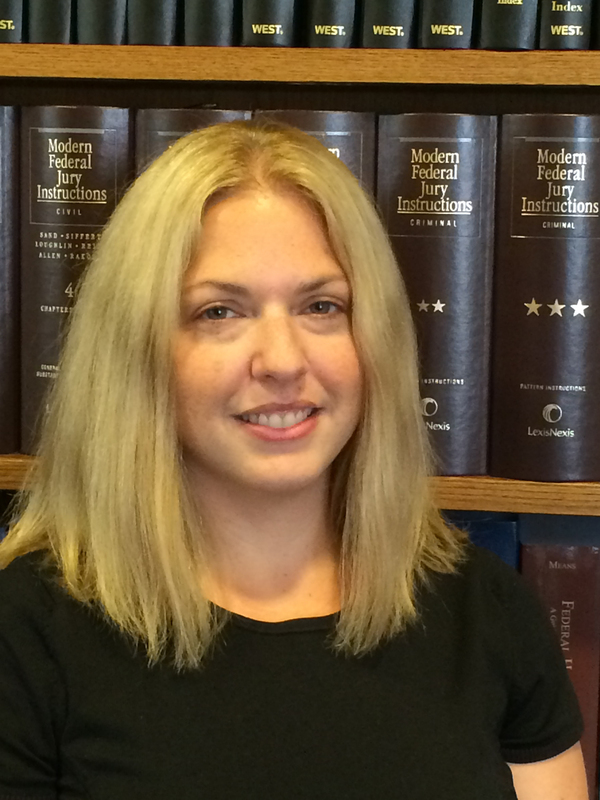 They have developed innovative programs to expand access to counsel for litigants who cannot afford representation, obtained reversals of wrongful convictions, and filed amicus briefs in various cases. The group has done work in each of New York’s federal districts and throughout the country, and includes five attorneys in their first decade of practice. Through their pro bono work, they have mentored colleagues and law students handling pro bono representations, taken on leadership roles in their communities, and inspired countless others by their example. The Council presented the 2015 Award to Matthew Benjamin for his establishment of a program to provide pro bono civil legal services to participants in the Alternative to Incarceration and post-conviction drug re-entry programs of the Eastern District, and to Steven Kolleeny for his leadership of Skadden’s pro bono asylum program for over 25 years. 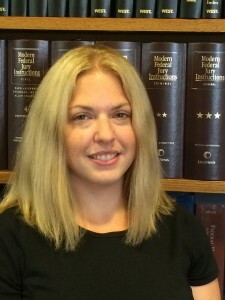 Eastern District Judge Dora Irizarry, who nominated Benjamin, described his efforts to mobilize assistance for participants in the court’s programs who have legal needs relating to housing, employment, immigration, benefits, bankruptcy, and other matters. She explained how the work that Benjamin has led is helping to remove obstacles faced by participants in the court’s programs as they seek to achieve their goals, and the life-changing impact of those interventions. Eleanor Acer of Human Rights First, who presented the award to Kolleeny’s family, spoke about his involvement in numerous cases, including those in which he personally represented individuals and those that he supervised. Acer discussed the tremendous impact of Kolleeny’s work on the refugees and their families who have been given the opportunity to rebuild their lives in the United States and on the attorneys he has mentored. • Scott Wilcox of Cohen & Gresser, whose pro bono work includes helping clients obtain immigration and veterans’ benefits, advising on intellectual property and nonprofit governance matters, and serving as chairman of the board of directors of Wingspan Arts, a nonprofit that provides arts education classes and conservatory programs to students in the New York City area. 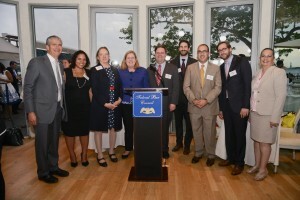 By honoring the recipients and nominees of the Thurgood Marshall Award for Exceptional Pro Bono Service at the Summer Kick-Off, the Council sought to inspire other attorneys, particularly those in the earlier stages of their careers, to maintain a sustained commitment to pro bono work. Federal Bar Council President Vilia Hayes and Executive Director Joan Salzman, Public Service Committee Chair Lewis Liman, Thurgood Marshall Award Subcommittee Co-Chairs Jennifer Brown and Mark Cohen, First Decade Committee Chair Christopher M. Colorado, Summer Kick-Off Co-Chairs Carly Grant and Mark Hatch-Miller, and many other members of the Council and its staff actively supported the event and the presentation of the award. The award, given annually, recognizes and celebrates lawyers in private practice who have demonstrated an exemplary commitment to pro bono legal services, and who have provided or facilitated the provision of pro bono services in federal courts or agencies within the Second Circuit. The inaugural award was presented in October 2014 to Alan Schoenfeld of WilmerHale.